Modern slim designed table. Made from recycled wood stripped, plained and sanded. Amber and clear resin cast with log slices from local woodland. 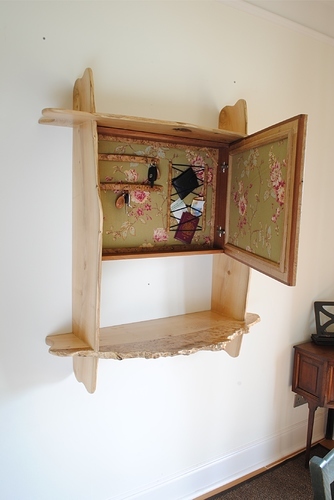 Oiled to bring out the natural colour, with contrasting pale coloured dowel joints. Thanks for your kind words. The main wood is Robinia with Burr oak. 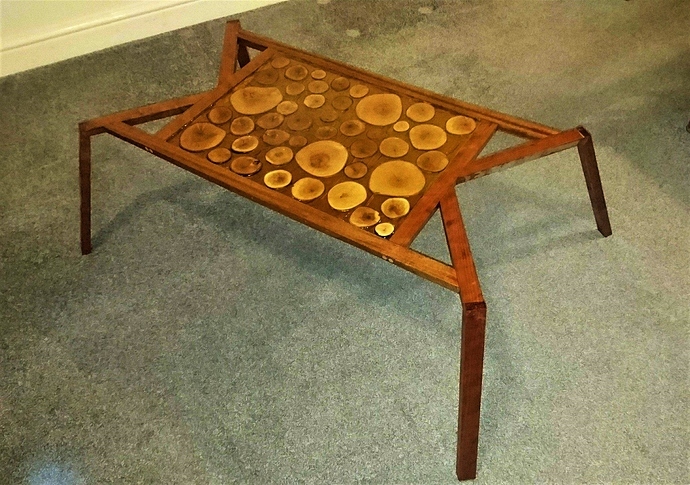 Your table was the first piece that caught my eye and I thought “blimey there’s a lot of skill going down here” . As, indeed, with all the entries. Does anyone know if they’ve announced the winners yet? I haven’t seen anything about it. No problem, just thought I saw something about the 7th of April for the winner to be announced. Hello all! 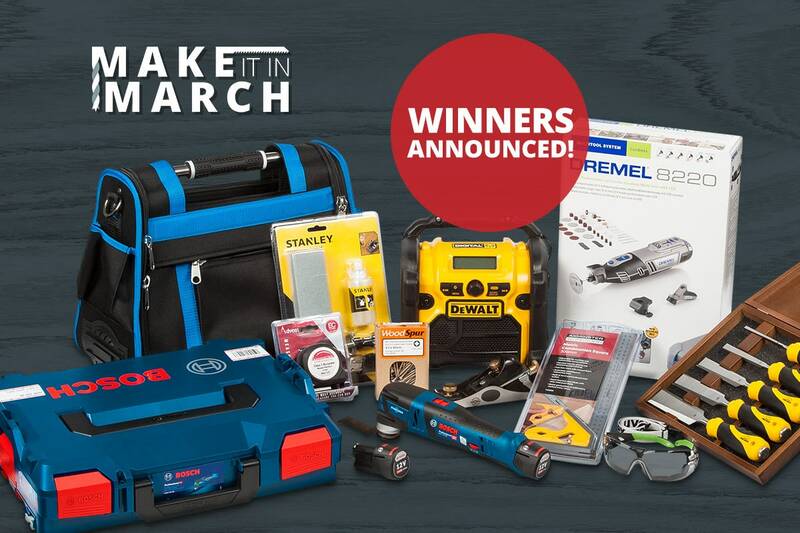 Thank you to everyone who has entered the Make it in March competition, there have been so many of you and the standard of workmanship has been incredibly high! We have begun to go through all the entries (we’ve had almost 200 across all entering platforms), and we hope to reveal the two winners on Friday 20th April. We really appreciate your patience and thank you again! Hello everyone, I’m just keeping you update with the competition winners announcement. After collecting all the entries, we found we had over 300! We are in the process of contacting the winners and they will be announced here and across our social platforms on Monday 23rd. Again, thank you for patience and apologies for the delay. Win the ultimate tool hamper in our Make it in March competition. Simply upload a picture of a woodworking project or job that you've done this March for your chance of winning the ultimate tool hamper worth over £600!